KSB Heavy Vehicle Driver Training delivers nationally accredited training and assessment leading to nationally recognised qualifications in association with our RTO 91544. Our focus is on high quality, accredited, cost effective training and assessment tailored to organisational and individual learner needs. We strive to be always professional in our approach and be flexible and innovative to achieve the results for our students. Driver Training has become a necessity in todays transport industry, so driver training should be seen as an investment, not a cost. KSB Heavy Vehicle Driver Training is your first choice for Heavy Vehicle Driver Training in Northern NSW including Casino, Lismore, Kyogle, Grafton, Evans Head, Woodburn, Yamba, Maclean, Coffs Harbour and Ballina, Byron Bay and Tweed Heads. Contact us today to ask us about our cost effective training and our automatic Kenworth which allows you the student the ability to upgrade without having to change gears! Great for all those who want to upgrade to HC (Heavy Combination) or MC (Multi Combination)! Yes, we do Multi Combination Licence upgrades at KSB Heavy Vehicle Driver Training! 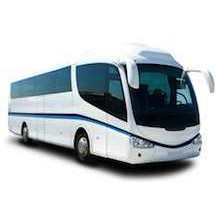 We have a variety of prime movers in which you can upgrade. KSB Heavy Vehicle has a Medium Rigid truck, an 18 speed roadranger and a 13 speed road ranger as well as our automatic Kenworth which has proved to be very popular! Check out our Facebook page and read our reviews and then you decide where you want to go to get your licence upgrade! 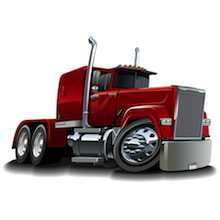 Make KSB Heavy Vehicle Driver Training your first choice every time! KSB is now open in Grafton! 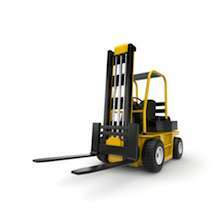 Located at the corner of Heber and Spring streets we are available for all licence upgrades and High Risk Forklift licences at our new premises in South Grafton. For all those residents in Coutts Crossing, Nymboida, Copmanhurst, Ulmarra, Iluka, Wooloweyah Maclean, Tucabia, Pillar Valley and Yamba we are now available in your area! Also, servicing all Coffs Harbour regions including Sandy Beach, Red Rock, Woolgoolga, Boambee, Boambee East, Sawtell, Toormina, Korora, Sapphire Beach, Moonee Beach, Urunga and Bellingen. The running of the training was smooth and I felt comfortable to be able to learn at my own pace.